The classic Shotgunner Hearing Protection Ear Muffs, with a behind-the-head style so you can wear them with a hard hat, ballcap, cowboy hat, or other headgear. 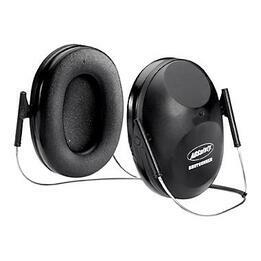 AOSafety Shotgunner Neckband Model Ear Muffs (NRR 19)5LarryAugust 30, 2012These are great. Better than any I have ever worn. I use them on the ranch around loud running machinery and they are the best ever. AOSafety Shotgunner Neckband Model Ear Muffs (NRR 19)5Dennis HealyNovember 29, 2010These Ear Muffs are what I required and suit me very well. I would recommend them to anyone.